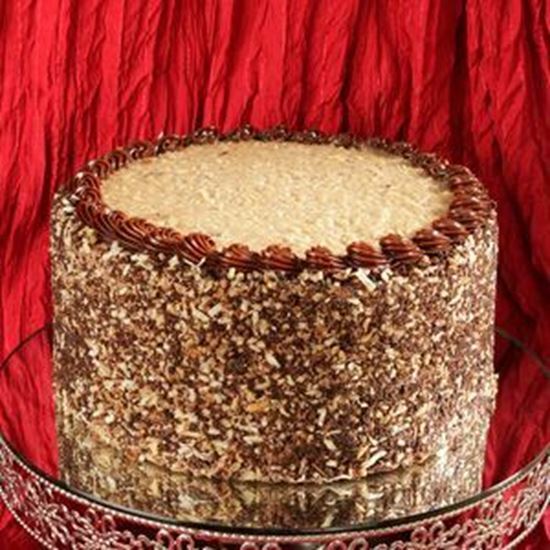 German Chocolate Cake - 9" round with 4 layers. German Chocolate cake which is filled and topped with Coconut Pecan Icing, and frosted with Milk Chocolate buttercream icing. Garnished with toasted Coconut and Pecans. Serves 12 -18 slices.